Someone Bought This: Do you need life advice? Captain Lou is here to help! - WrestleCrap - The Very Worst of Pro Wrestling! Are you having problems in life? Do you need some friendly advice? Maybe a laugh or two? Captain Lou Albano is here to help! 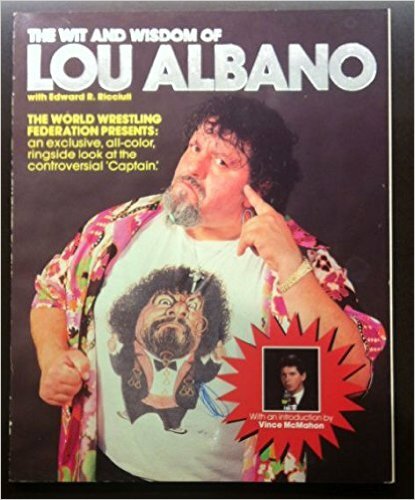 From the 1987 WWF merchandise catalog comes “The Wit And Wisdom Of Captain Lou Albano” authored by (who else?) The Captain himself! Yes, it even includes an introduction by Vince McMahon himself! I wonder what the introduction says? “Lou is pretty good at at hunting and pecking with his index fingers on that old manual typewriter we gave him”. You can get a used copy of the book right here! Look at the very top of the Amazon page- I love that Amazon listed the book under Textbooks. 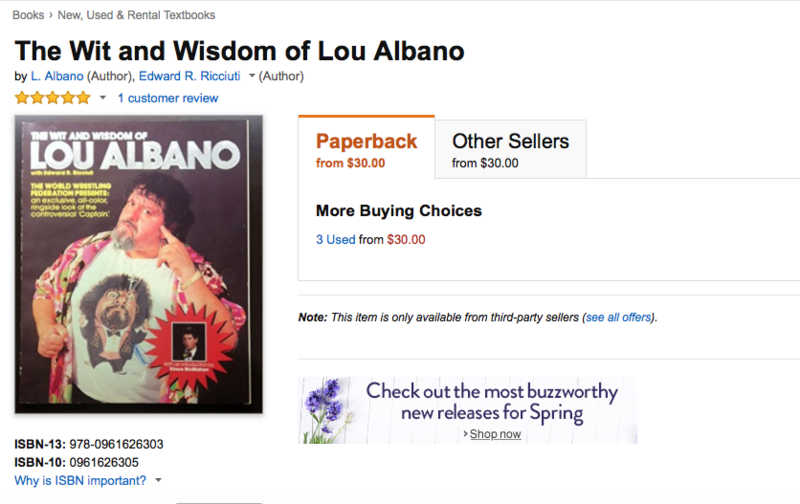 That’s Professor Captain Lou Albano to you, pal! 5 Responses to "Someone Bought This: Do you need life advice? Captain Lou is here to help!" I had that book when I was a kid. Haven’t thought about it in years d. Don’t remember what the hell is even written inside of it, but I think it was full color on fairly decent paper. That’s probably the only kind things that you could say about it. RD needs to get a copy of this. It looks like it might make a decent induction. Never mind that stupid book. 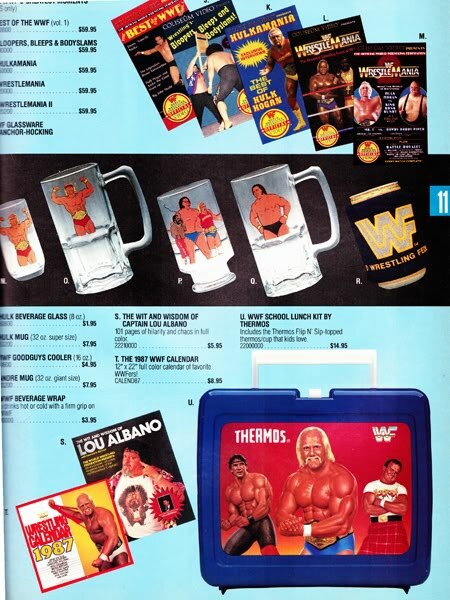 I want that snazzy lunch box.